This is where you map your future career. 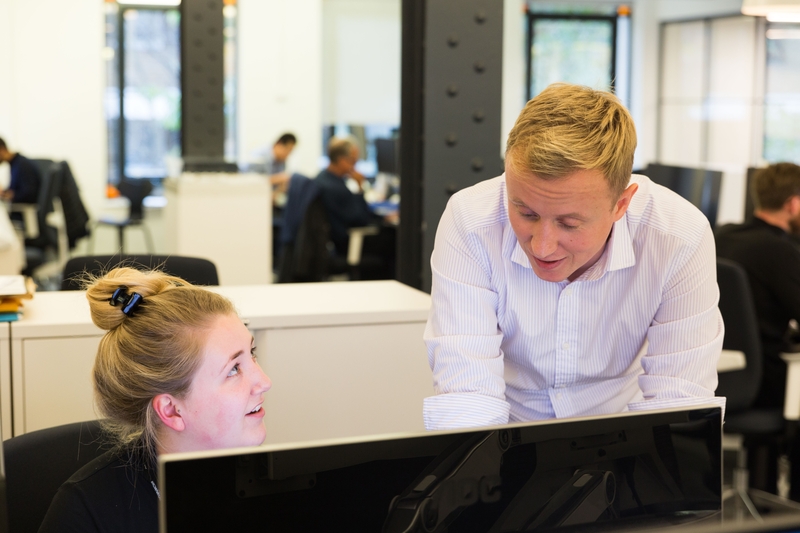 Scott Brownrigg apprenticeships are an integrated “earn and learn” route open to people of any age looking to pursue qualifications in architecture. We emphasise in-practice experience, combining work-based learning with academic training. As one of the Trailblazer practices that led the development of the Modern Apprenticeship Standard for Architecture, our Apprenticeship in Architecture provides an equal alternative path to becoming an Architect. When you join us, you’ll get stuck in straight away. Meeting clients, contractors and engineers. Taking on exciting projects and working closely with other graduates to build lasting friendships. We invest in you and your career, providing the financial support you need to focus on your apprenticeship and ongoing mentorship and access to the latest software. Here Practice Director Helen Taylor discusses the new Architectural Apprenticeship Programme and our involvement as part of the Trailblazer group. "I feel that an apprenticeship will offer me different learning experiences, I can work and study at the same time. The apprenticeship programme will provide me with a structured training programme whilst working towards my qualifications. It will help me gain the skills and knowledge I will need for the industry. I can apply my learning directly to my role at work."